1. The Groups you want to search within e.g. if everyone in your database you can select "Default Group"
2. The Campaigns you want to see the results for. We suggest selecting just the last 6-10 campaigns. 3. 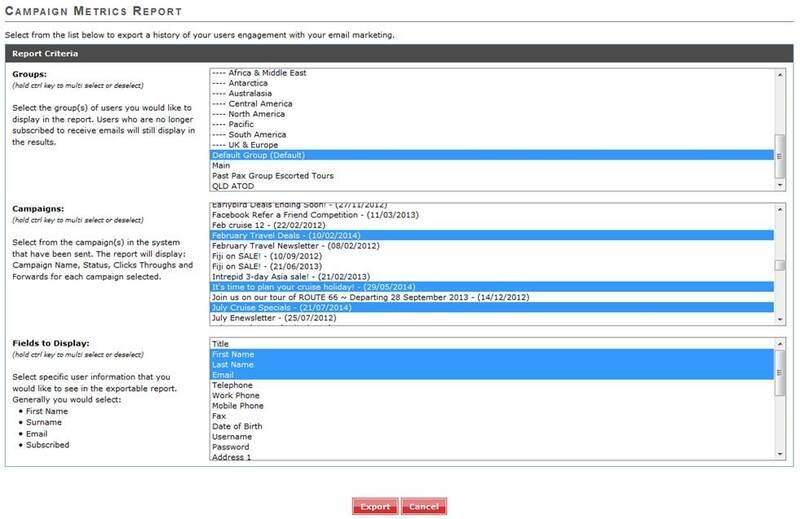 Then you will need to select the fields that you require in the report. We suggest First name, Surname, Email and Subscribed Status. Once you click "Export" a CSV report will pop up on screen. This may take some time depending on how much data the system is looking through. Step 3. The report will be downloaded and the CSV file will look like this. What you will need to do first is sort through those contacts who have unsubscribed. Then you will need to sort by Open Rate %. Click on the "sort" option in excel again and select "Open Rate %". 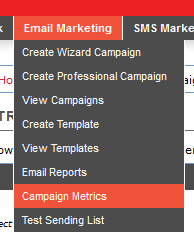 This will sort through the contacts so that those who are the most engaged (100%) will appear at the top of the list. Now that the file is sorted you will be able to select the top 100 (or those who have opened all or most of the last campaigns) and re-import them back into the system into a Group called "VIP" or "Top 100" or for any other marketing purposes.